Charlottesville, Virginia, is home to more than 5,000 nurses. Many of these professionals earned their degree or certificate at a local college or university. Of course, the most prominent local nursing school is the University of Virginia School of Nursing, which offers bachelor of science in nursing (BSN), master of science in nursing (MSN), and doctor of nursing practice (DNP) degree programs. Graduates of local nursing schools are prepared to seek positions at major hospitals and healthcare centers in the area, such as University of Virginia Health System, Sentara Martha Jefferson Hospital, and University of Virginia Children’s Hospital. Charlottesville-based nurses work in a variety of roles such as nurse practitioner (NP), registered nurse (RN), licensed practical nurse (LPN), and certified nursing assistant (CNA). 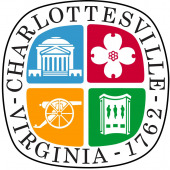 Depending on role and seniority, yearly earnings for Charlottesville-based nurses can range from $26,000 for entry-level positions to $126,000 or more for highly skilled roles. Nurse practitioners perform one of the most demanding nursing roles. They often work independently of a physician and specialize in a specific area such as cardiology, family practice, or gerontology. NPs diagnose, treat, and help patients to manage chronic and acute illnesses. They conduct physical examinations, prescribe pharmacologic treatments, and perform minor surgeries and procedures. Registered nurses also fill an advanced healthcare role that entails coordinating patient care, administering treatments and medications, and educating patients and the public about medical conditions. LPNs care for sick, injured, convalescent, and disabled patients under the supervision of RNs and senior medical staff. CNAs fill an entry-level role by performing routine tasks like bathing patients, helping them get dressed, and serving them meals. CNAs also take vital signs, reposition patients, and examine patients for bruises and other injuries. Each nursing position requires role-specific education and licensure. NPs, for example, must have specialized graduate education. After passing the National Council Licensure Examination for Registered Nurses (NCLEX-RN), they will earn an MSN, DNP, or doctor of philosophy (PhD) in a focal nursing area like pediatric care, psychiatric-mental health, or acute care. RNs typically hold an associate’s degree in nursing (ADN) or a BSN degree, and they must pass the NCLEX-RN exam before commencing practice. LPNs must complete an accredited certificate or associate’s degree program and pass the NCLEX-PN national licensure examination. CNAs must finish a brief training program of approximately 100 hours and pass a state-mandated certification test. If you’re ready to jumpstart your nursing career, we’ve compiled below a list of accredited nursing schools in Charlottesville, Virginia, to help you get started.